It is designed to assist in the evaluation, control and reduction of workplace exposure to airborne fibres. Programme recommendations are intended to help ensure the proper handling, manufacture, storage, use and disposal of HTIW and HTIW products. 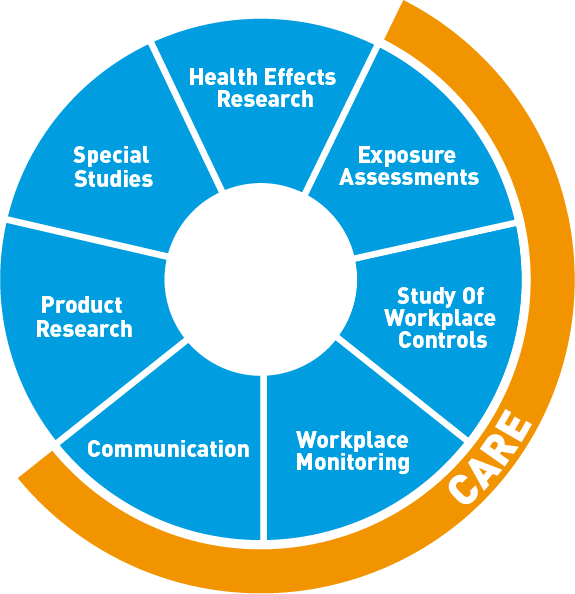 ECFIA has a comprehensive communication programme to provide employees and users with up-to-date information on proper handling practices for HTIW-products, health research and exposure guidelines. Workplace exposure potentials can vary widely, even for similar applications. It is extremely important that users periodically monitor their workers and workplace areas to determine actual fibre exposure levels. A key element of the PSP is the evaluation of workplace exposure levels, ECFIA´s industrial engineers and hygienists can advise user industries on engineering controls and respiratory protection programmes. Over the past several years, ECFIA has invested considerable effort in the evaluation of effective engineering controls and handling practices in its members‘ own production facilities to control the levels of airborne fibres. Many of these techniques can also be used economically and effectively in the user industries‘ workplaces. One of the most important activities of the PSP is the design and sponsorship of health effects research programmes. ECFIA is a major sponsor of several health studies designed to determine the potential long-term health effects of inhalation exposure to HTIW fibrous dust. ECFIA members remain dedicated to programmes that develop products and systems for the effective reduction of the risk of disease. To date, these development programmes have resulted in several new products which have less potential to generate airborne fibres or which are exonerated from the current classification on grounds of low biopersistence. Other programmes are underway or researched to help ensure the continued proper use of HTIW. ECFIA´s members remain committed to programmes that help ensure the continued proper use of their products. Download and read more detailed information on ECFIA’s Product Stewardship Programme.